Leasing Available from $63.61 per month! 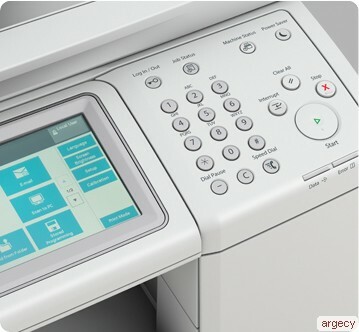 Boost efficiency with a robust multifunction printer featuring embedded document solutions, enterprise-level security and outstanding reliability. 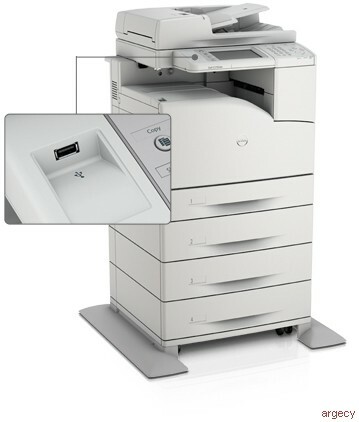 Maximize office productivity with embedded scan and workflow solutions. Get superb performance and scalability to meet your growing business's needs. Protect sensitive data with enterprise security features including network user authentication and built-in data encryption. Get tasks done efficiently with robust document and workflow solutions built into a high-performance, color multifunction printer. Scan and convert documents into editable, searchable PDFs directly from your printer with built-in Optical Character Recognition (OCR) software, making it easy to locate or edit scanned text. Scan directly to multiple locations, including email, network folders, printers or to a USB memory device. Retrieve scanned files and route documents to pre-assigned destinations with a single click. Streamline your workflows with one-touch Job Flow Sheets. Use the Job Flow Editor to take complicated, repetitive tasks and combine them into a simple, customizable job flow - ready to activate at the touch of a button. 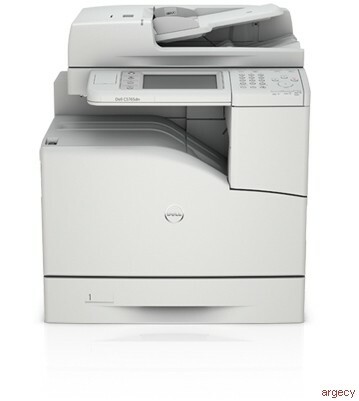 Ideal for large workgroups, the C5765dn delivers superb print, scan and copy performance, long-term reliability and low overall cost of ownership. 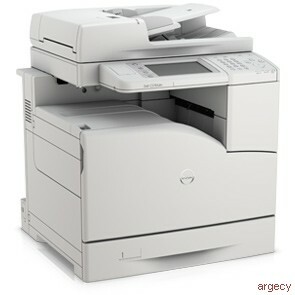 Reduce paper usage by up to 50% of paper consumption with automatic two-sided printing (default print setting). This printer supports printing on recycled, renewable content, and chlorine-free paper. A maximum duty cycle of up to 110,000 pages per month * helps meet high-volume printing demands. Enterprise-level security for strong data protection. Protect sensitive information without disrupting your workflow with powerful security functions. Prevent unauthorized printer access through network user walk-up authentication with LDAP and Kerberos. Safeguard confidential scan and fax data with digital signature and 256-bit Advanced Encryption Standard (AES) encryption while sharing across a network or across devices. Protect data for copy, print, fax or email jobs with the printer's hard drive encryption feature. Multi-pass secure erase further enhances hard-drive security. Simplify tasks and save time with intuitive and customizable features. Easily extend your capabilities with input and finishing options. Swiftly navigate menu and configuration settings using the intuitive 7" color touch screen control panel. Quickly access and print frequently used forms stored on printer using My Forms feature. Enable high-volume printing with a wide range of paper input options supporting up to 2,350-sheet capacity. Additional finishing options allow easy creation of in-house marketing materials. Service and support for your multifunction printer. Work confidently with a standard 3-year Limited Hardware Warranty** and 3-year Next-Business-Day Onsite* Service after Remote Diagnosis. * Leverage Dell's expertise to properly configure and size your deployments with the optional Deployment Service. Get fuser maintenance kit replacement for the life of your warranty. Dell includes a fuser maintenance kit in our Limited Hardware Warranty** to help you eliminate high replacement costs. Simplify your entire printer environment with optional Dell ProSupport services, featuring options such as specialized technical support and expert on-site** diagnosis.